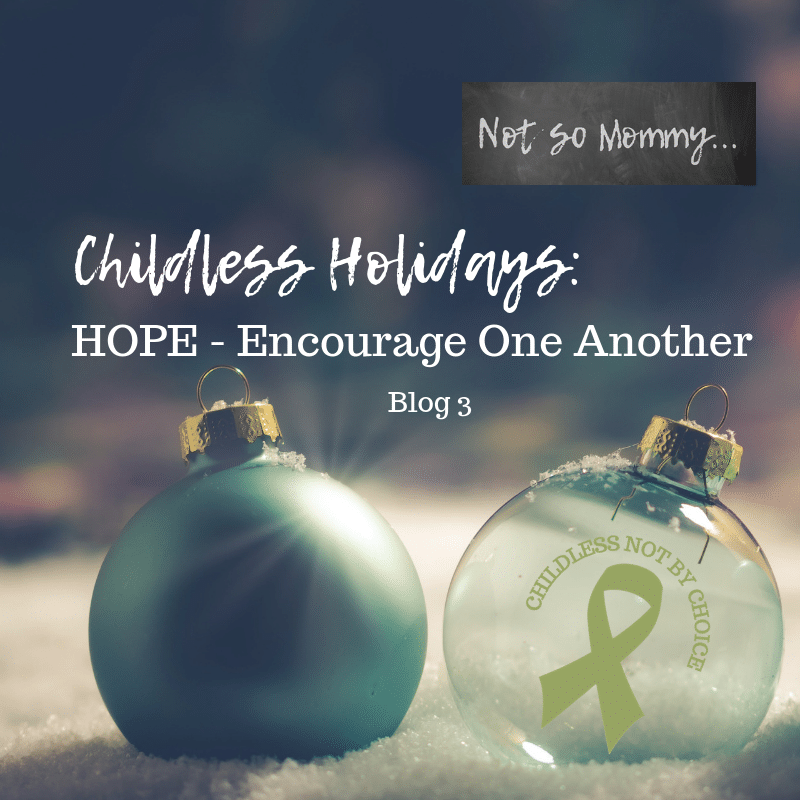 During the last post for this Childless Holidays Series, I stated that I truly believe to find and spread hope, we must first find our purpose. But finding purpose… This can be hard. My husband does amazing things. 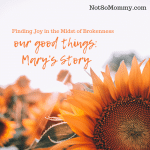 He can work longer hours than anyone I know, has an incredible tenacity to complete difficult tasks, has been the sole bread winner is our household since I started Not So Mommy…, and has a strength that I find remarkable. In other words, my husband does BIG things. His contributions to our family are easily noticeable by all. While this is a wonderful thing, there are times when I feel less than adequate. While my hubby is working long hours into the night to make enough money for us to pay our bills, I am simply making dinner, doing laundry, letting Maddie outside, or pulling down the bed. While he climbs our tallest ladder to install pallet boards on our ceiling, I simply hold that ladder and hand him the nail gun. And while he gathers his laptop and organizer and books to head out for the day, meeting a new client and beginning to schedule the project he just landed, I think about the fact that I need to make another trip to Goodwill and do our grocery shopping. Because I do the little things. My contributions aren’t always noticeable. I mean, my husband made his own coffee this morning. I was just the person who threw away the used K-cup and replaced it with a new one, wiping up a drop of coffee that accidentally landed on the kitchen counter. Would the little seem bigger if we had littles? I often wonder if I’d feel this way if we had littles at home. 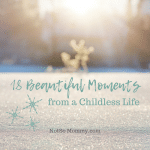 If I wasn’t a stay-at-home wife and dog mom, blogging about my childless journey… If instead I was a traditional stay-at-home mom of littles, blogging about my mom life, would I feel that my little contributions were big contributions? If I wasn’t making Maddie’s dinner, but rather cooking for two-legged littles, would I feel that task was more important? Would doing the laundry and making the bed and straightening up feel more like a “real job” if I were doing these things for a family that included two-legged kiddos rather than my little family with a hubby and fur baby? Would it feel more important if I were taking two-legged kids to school rather than simply taking Maddie to her doggie day camp? 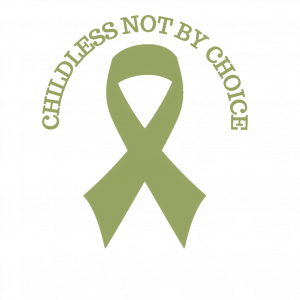 Would I worry less and feel more important and valuable, that my purpose was greater, if I were a traditional mom and had a traditional life? If I’m honest, maybe. Because people say, “Being a mom is the hardest job in the world.” There are images on social media which show how much money a mom should make for all the chores and errands and contributions she makes. So, I must believe in my own worth, my own value. I must remind myself (and often, as I am a worrier and an over-thinker) that what I do matters. I cannot end this blog without saying thank you, fabulous ones, for helping me to find hope. My hubby isn’t the only one who encourages me. You all say some of the kindest, most wonderful things to me. Your comments on my blog, social media, and through emails and private messages have built me up more than I can say in words. 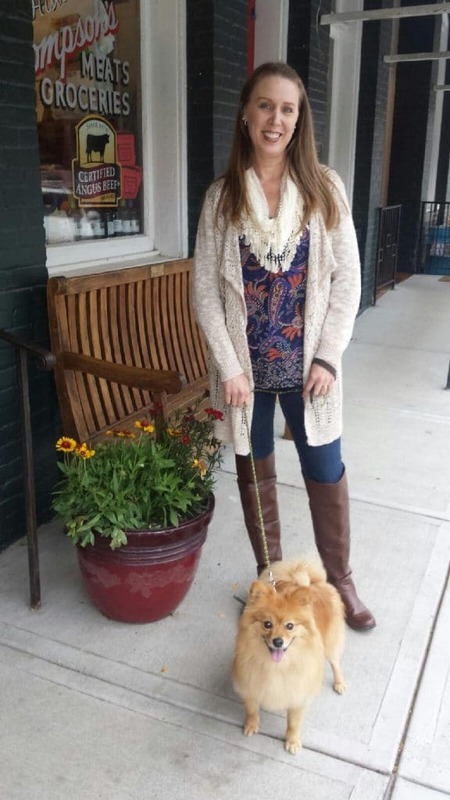 I consider Not So Mommy… my work; however, I don’t make any money writing this blog. Although I’m not monetarily driven, there are instances when I wonder if my time is well-spent focusing on my blog and social media. And then, I receive beautiful words from a community member, telling me that what I do matters, encouraging me to continue sharing. And I find it—hope. Hope that helps me to continue writing, hope that tells me what I’m doing is important, hope that reminds me that even though my life isn’t “traditional,” it still matters. I’m still important. I have a purpose. If anything I wrote resonates with you, I’d love to hear about it in the comments! Subscribe to my email & receive encouragement straight to your inbox! Sharing is Caring! Use the social media icons below to share this blog post! Needed to hear this, thank you! Taking care of a home, even one for a family of 2(plus furbabies), is an extraordinary amount of work. Living life is messy(at least it should be, if you’re doing it right!). We make messes making dinner, eating popcorn watching a movie, just going in and out of the house(I’m looking at you, doggos. Learn to wipe your feet!). Whenever my wife gets sick and I make her rest in bed, it’s almost overwhelming to try and keep up. Now we have Mt. Laundry, hills of dirty dishes, and bathrooms that should be condemned. And the kicker is, the work never ends. If I get a project done at work, I can kick off early or relax a bit. There is never an end to the work at home. Without my wife, I would go to work and come home and work. Because of her incredible efforts, when I get home we are able to relax in a wonderfully clean home(something to be said for mental health and the cleanliness of your environment), and do together things. Adventures, movies, home improvement projects. I try very hard to recognize her for her impressive work, because it truly is impressive. My wife thinks too highly of me! She inspires me, we all have our bumps and trouble and it helps to have someone there that shares in them. She gives that to so many people and I am so proud of her! Thank you, sweetie. I love you so much!